Recently, I have become a frequent cereal eater again thanks to a company called; One Degree Organics. I stumbled upon their products in Whole Foods Market and immediately loved their mission and most importantly their ingredients. One Degree Organics is a great company that prides itself on its’ organic and sustainable line of products. I have recently fallen in love with their cereals. Each cereal is composed of a handful of ingredients that you can read and completely understand what they are. 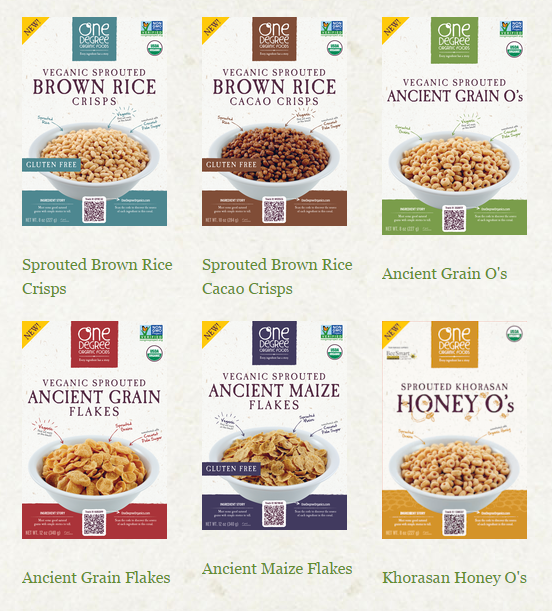 The cereals are made with sprouted ancient whole grains that are both vegan and organic. There are GMO free and contain no other additives or added sugars. The cereals are high in fiber and very low in fat and sugar contrary to many cereals on the market these days. They are a great source of grains and pair amazing with some almond milk and a sliced banana or handful of berries. My favorite flavor is the Honey O’s (yes, just like Honey Nut Cheerios, but much healthier). One Degree Organics also makes lots of other products including breads, flours, and seeds. Increased Digestibility – Sprouting breaks down starches in grains into simple sugars so your body can digest them easily. Increased Absorption of Minerals – Sprouting breaks down enzyme inhibitors, so your body can more easily adsorb calcium, magnesium, iron, copper and zinc. Increased Antioxidants – Sprouting releases more antioxidants that are naturally stored in the grains and seeds. Another great company to consider when looking to buy sprouted grain products is Food for Life. They have extensive lines of breads, tortillas, waffles, buns, and cereals. 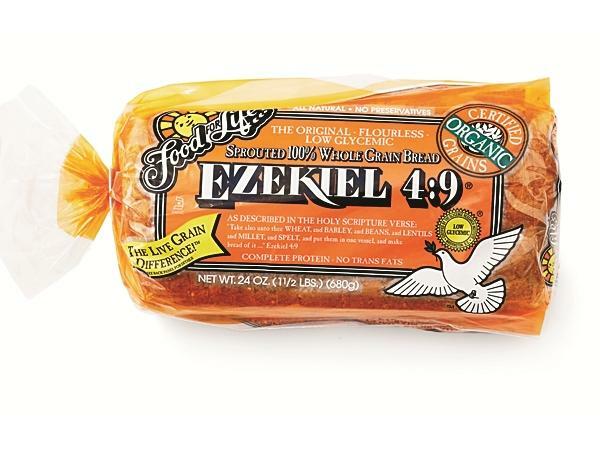 I love their line of sprouted grain breads, which are a perfect way to have toast or a sandwich without all the added chemicals and processed flours found in other bread brands! It is important to feed your body carbohydrates often even though many “diets” like to rule them out. Carbohydrates are our main source of energy and provide the ideal fuel for our body to function, as well as many essential vitamins and minerals. Complex carbohydrates provide long-term energy and help jump-start your metabolism. I recommend scanning both websites to take a closer look at all their products as well as their nutritional facts, they are a great swap to introduce to your diet instead of processed grains!